When a plum tree fails to bear fruit, it is a big disappointment. Think of the juicy, tangy plums you could be enjoying. Plum tree problems that prevent fruit range from age-related to disease and even pest issues. It is important to identify why your plum tree isn’t fruiting. Once you know what’s wrong, you can take steps this season to ensure a bountiful harvest next year. Plum trees begin to bear when they are three to six years of age. You can tell right after bloom if your tree will set fruit. Inspect the terminal ends after blossom drop. The ovary should be swollen with the beginning of the new fruit. If these are absent, there was a problem with initial fruit set. 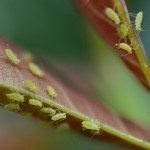 This may be due to insects (such as aphids), weather-related, or even due to poor tree health. The colony collapse disease that is affecting our honeybee population may also be responsible. Fewer bees mean less pollination, a necessity for fruiting. 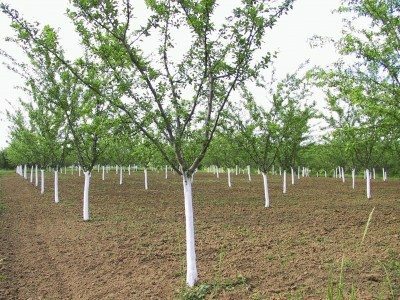 Fruit trees require exposure to cold temperatures, a period called dormancy; then warm temperatures signal the end of the dormant period and the time to begin growth and fruit production. Extreme cold during flowering will cause the blooms to drop too early, and a plum tree fails to bear fruit. Freezing temperatures before blooms open will also kill the flowers. Without flowers, you will have no fruit. Insects that chew the terminal ends, shoots and flowers will also cause no fruit on plum trees. Excess nitrogen fertilizer promotes leafy growth and can diminish fruiting. One of the most common causes of plum tree problems is the lack of a co-pollinator. Plums are not self-fruitful and need another of the same species nearby for pollen transfer. This is done with bees, moths and other pollinator’s help. Pruning at the wrong time removes the buds necessary for flower and then fruit. There are steps you can take to prevent the problem of no fruit on plum trees. Keep weeds and grass away from the base of a tree. Provide good irrigation and a fertilizing program appropriate for fruiting trees. 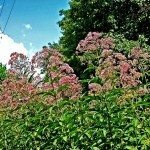 Fertilizers higher in phosphorus will help with blooming and fruiting. 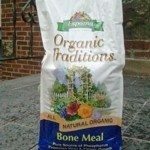 Bone meal is a great source of phosphorus. Prune trees when young to create a strong scaffold and minimize upward growth. Pruning is done when the tree is still dormant and before buds have formed. Do not plant where the tree will be shaded or has competition with other tree roots for resources. Plum trees are one of the least winter hardy plants and should not be grown in zones where temperatures may be -15 F. (-26 C.). Such cold temperatures kill flower buds and are a reason plum tree fails to bear fruit. Heavy bearing trees may not produce fruit the next year. The plant’s reserves are depleted and you will just have to wait a year for it to rally. Fixing plum trees with no fruit sometimes just requires patience and good stewardship and you will soon be enjoying the glorious sweet fruit again.